We proudly serve Irmo, South Carolina with a unique and enjoyable patient experience. Dr. Marshall Fields is the leading cosmetic dentist in Irmo SC. With years of knowledge and understanding, we pride ourselves on providing a memorable lasting experience. Our motto of “Giving You More To Smile About” starts with your experienced Doctor. Dr. Fields goal is to help his patients achieve a beautiful, dazzling smile through cosmetic treatments. Cosmetic dentistry is different from general dental care; it is both a prowess and scientific discipline. Dr. Fields offers smile enhancement, restoration, and maintenance treatments for optimal dental health. Using cutting-edge proficiency, techniques and advanced materials, our office proudly offers you a beautiful, natural smile and all the benefits that come with it. Our team views comprehensive dentistry as a life long commitment to your health, appearance and self image. We go the additional mile to ensure you make the most of your visit. You’ll get cozy blankets, neck pillows, warm scented towels, and TVs. We emphatically trust that your outing to the dental practitioner ought to be an important one for all the correct reasons. We ensure that your visit will be a wonderful and charming experience. You’ll appreciate being here and making the most of your lovely smile! 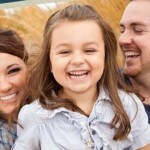 At Carolina Aesthetic & Restoration Dentistry, we provide all types of services for our clients. We can provide a wide range of techniques, technology, and experience on what matters most – your smile! Dr. Fields attended the Spear Institute for Advanced Dental education, focusing in the latest aesthetic and restorative techniques. Dr. Marshall Fields is a South Carolina sedation specialist dentist. Dr. Marshall Fields is specialized and certified in all the proper techniques for sedation dentistry. He uses only cutting edge methods and technology. This type of mentality reassures our patients they will receive only the best, and it allows us to deliver state of the art type results. Sedation dentistry is the process of using sedation to improve patient relaxation, increase comfort, and reduce anxiety that accompanies some patients. We want and expect you to have a good experience with us, and for patients that have any anxiety or reluctance to make regular dental visits or have dental procedures done, sedation dentistry can provide the comfort and relaxation needed to get through dental visits and procedures. We use only the best methods of sedation at our establishment, and we work with the patient to ensure you will be perfectly comfortable as we work on giving you the best smile possible. Sedation dentistry has become popular because it offers advantage to the patient. For some patient groups, the use of sedation dentistry is the only way that they can get the dental care they need and improve their dental health. 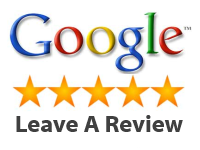 Dentists in Irmo SC are not going to give the same quality and attention to detail that you will get with Dr. Fields. Dr. Marshall Fields will provide multiple different unique options for cosmetic dentistry. He believes in doing whatever is necessary to achieve the best results for his clients. Dental veneers are very thin, custom made shells of tooth colored materials designed to cover the front surface of teeth to improve appearance. These shells are bonded to the front of the teeth changing their color, size, or length. Porcelain veneers help resist stains and mimic the light reflecting properties of natural teeth. These are just two ways that we can get your teeth looking white and new. We strive daily to ensure that our customers are satisfied with our dentistry and hard work. A dental crown is a tooth-shaped “cap” that is placed over a tooth to restore its shape and size, strength, and/or to improve its appearance. The crowns, when cemented into place, fully encase the entire visible portion of a tooth that lies at and above the gum line. A dental restoration is used to restore the function, integrity and shape of missing tooth structure. 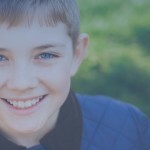 The structural loss typically results from tooth decay, cavities, or external trauma. Dental restoration also refers to the replacement of missing tooth structure. We can restore your teeth exactly how you desire. We have all the capabilities, experience, and up to date technologies to allow for the best smile possible. If you want to keep teeth in great condition, professional teeth cleanings are critical in maintaining teeth that are healthy and plaque-free. Most people believe that brushing and flossing is enough to preserve a beautiful smile. It actually requires regular deep cleaning of the teeth to remove hidden tartar, plaque, and bacteria that is invisible to the naked eye. 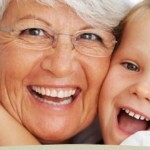 This service is essential for protecting the longevity of your teeth. We use all the up to date methods to ensure that your teeth are healthy and vibrant for years to come. It is important to get regular check ups to ensure the health of your teeth. It is easier to treat the problem earlier than if you are to wait it can worsen any problems that might be building up without you even knowing. Root canal therapy is done when decay will likely damage or has already killed a tooth. During a root canal, the pulp is removed from the center of a tooth then the pulp cavity is filled. This can prevent the development of a painful infection in the pulp. A root canal can also treat an infection that has developed into an abscessed tooth. This procedure can relieve toothache, stop infection, and promote healing. 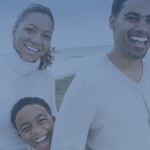 At Carolina Aesthetic and Restorative Dentistry we are committed to enhancing people’s lives by way of dental health. The Dental Pulp is highly vascularized with tons of sensory endings. So if you are in need of a root canal it is most likely that the dental pulp has been negatively effected. The dental pulp nourishes and hydrates the tooth structure, making the tooth more resilient, less brittle and less prone to fracture from chewing hard foods. The dental pulp provides a hot and cold sensory function, so if it is infected or negatively impacted it can effect the overall health of your teeth. This is why being proactive with a root canals are so important in the early stages. A full mouth reconstruction may be necessary if multiple implants and other procedures for teeth are needed. A full mouth reconstruction is usually done over multiple appointments and is a serious undertaking to consider if you feel that you may need one. This can include a number of different procedures in order to get your mouth looking spectacular. It is important to again be proactive when it comes to your teeth. Many individuals wait until the affects are devastating and they are in constant pain before seeking help. It is important to take care of your teeth just as you would any other part of your body. However, if your teeth need a full rehabilitation we have the skills and knowledge on how to do that. We are the best in Irmo SC! Crowns – a cap for either a tooth damaged by a large cavity or dental implant. Dental Implants – a man-made replacement for the root of a missing tooth. If you are experiencing pain or suffering from any of these symptoms, you may have TMD. Please contact us for a consultation and we can help find a plan that is right for you. At Carolina Aesthetic and Restorative Dentistry we are always on the cutting edge of technology. We are pleased to offer a new and revolutionary way to detect and find cavities. These new ways are changing the way we find cavities and assess damage of the tooth. This allows us to create a plan around the important data that we receive. As technology continues to develop and be created we continue to grow and learn with it. Many Dentists are not willing to grow with the technology because they dont want to spend the time and effort to learn new systems and technology. We are the exact opposite as we see the value in new and creative solutions to better help our patients. Are you looking for a straight and perfect smile? Implants may be the best way to create that beautiful smile. They create beautiful strong teeth down to the root. A dental implant is a man-made replacement for the root of a missing tooth. Modern dental implants look very similar to actual teeth and provide greater functionality than dentures or bridges alone. They also provide the strong supportive structure that natural roots provide, which makes bridges and crowns more effective. Q – What is difference between dentist and cosmetic dentist? A – Patients requiring dental work or needing to check whether they have cavities will visit a general dental specialist who is talented in giving fundamental and preventive strategies first. Patients worried about how their teeth look and seeking more experienced proficiency will be more inclined to make a meeting with a cosmetic dental specialist. Restorative dental practitioner is gifted in giving treatments that make the teeth look more white, brighter, and more natural in appearance. Q – If I am terrified of the dentist what do I do? A – We provide sedative procedures that are state of the art. We work tirelessly to ensure that any anxieties you may have will dissipate, and you will remember the dentist visit in a positive light.